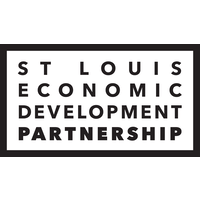 North County Incorporated is a regional development organization which acts as a catalyst to define and advocate economic and community development for North St. Louis County. North County Incorporated has been serving the region since 1977. North County Incorporated (NCI) was founded in 1977 and serves as “the voice” for the many business, civic and community organizations throughout the region. There are 350,000 residents living in the 45 municipalities and unincorporated area located within the North St. Louis County region. North County hugs the curves of the Missouri River just west of its confluence with the Mississippi, wraps around Lambert-St. Louis International Airport, skirting the northern city limits of St. Louis. 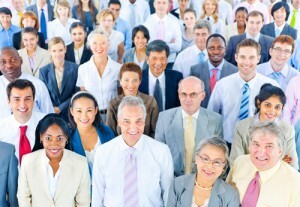 Successful businesses of all sizes, chambers of commerce, neighborhood associations, individual professionals, residents, churches, hospitals, schools, law enforcement agencies and a variety of other institutions make up our membership. As an advocate for North St. Louis County, NCI is connecting our community, municipal and business leaders to collaboratively work toward positive growth, economic development (commercial and housing), and marketing to sustain our great quality of life. NCI is a 501(c)6 and North County Regional Development Association is our 501(c)3. 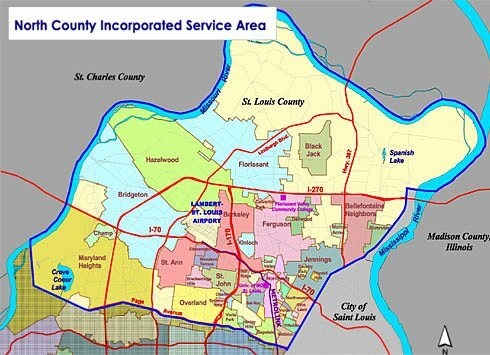 North County Incorporated is an economic and community development advocacy organization serving the North St. Louis County community for more than 35 years. We focus on economic development, education, healthcare, infrastructure and transportation needs. NCI markets the area as a truly great place to live, work, shop, worship, and learn as we actively work to enhance the residential and business climate. NCI’s leadership successfully builds collaborative partnerships to work on regional matters in an effort to create an overall more livable community. We coordinate the resources and efforts of community, civic and business leaders to speak as a unified voice on regional issues. By connecting people, ideas and resources, NCI is a catalyst for the betterment of the area. North County has been serving the region for over 30 years. Our members, who volunteer their time and talents, do much of NCI’s work, by serving on one or more of our active committees. A board of directors and the executive board govern the organization. For more information contact us at (314) 895-NCI1 (6241) or click here for our contact form.